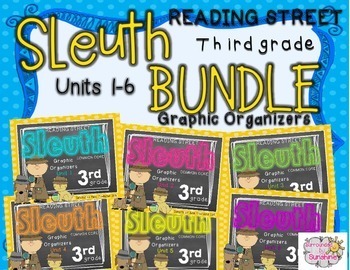 All of third grade SLEUTH graphic organizers are conveniently compiled into one BUNDLE! Have everything you need to help your students love and succeed with SLEUTH for the entire school year!! All of the units are still available in the separate units. 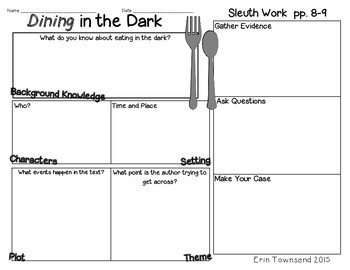 Help your third grade students "read like a detective" with these graphic organizers that perfectly compliment Reading Street's Sleuth text. They are common core aligned with a focus on weekly targets and skills. 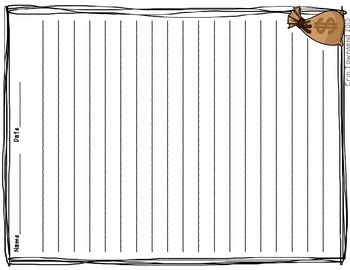 In each unit, you will find three graphic organizers per weekly text. The first one is a before, during and after reading organizer. 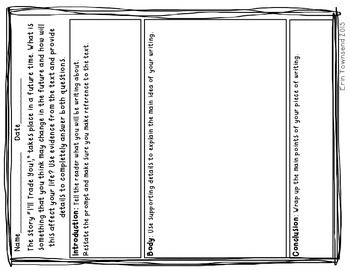 The second one is for students to practice analytic writing where they respond to a prompt. The last page is for the final copy of student responses. I hope this helps your students dig deeper into their Sleuth texts like it has with mine! The original purchaser has been given permission for unlimited reproduction of this product for ONE classroom only. Please purchase multiple licenses for use in other classrooms.